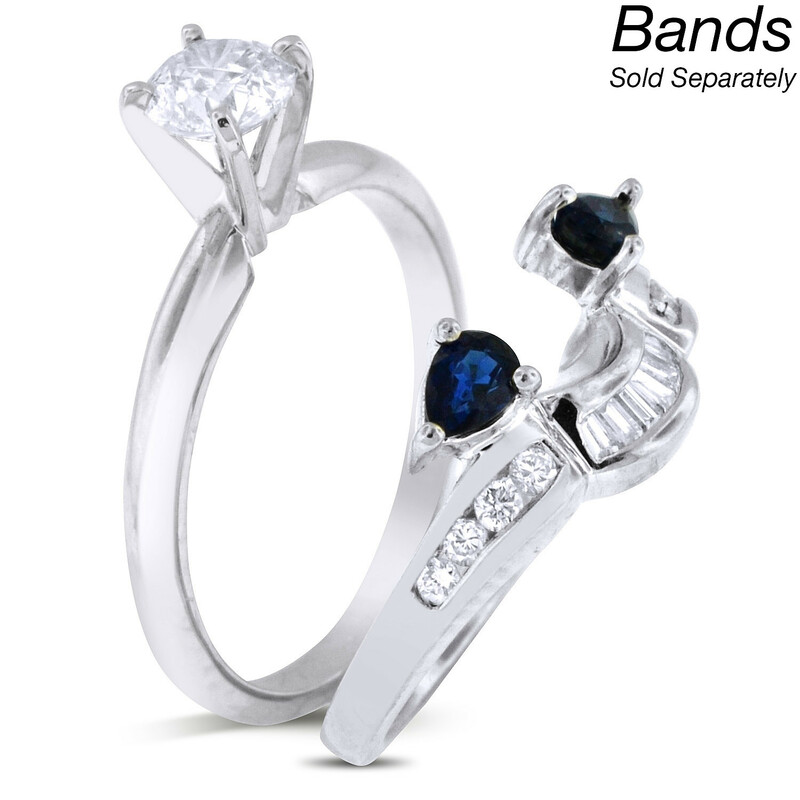 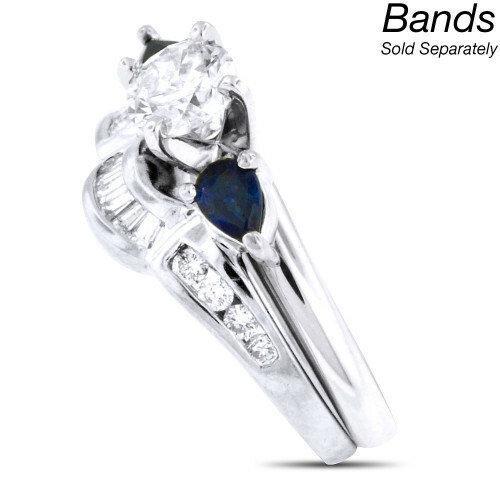 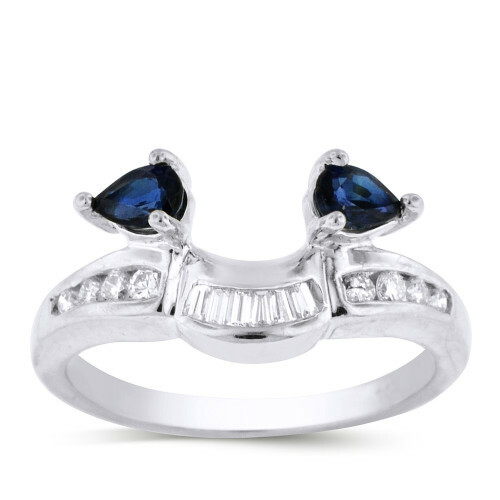 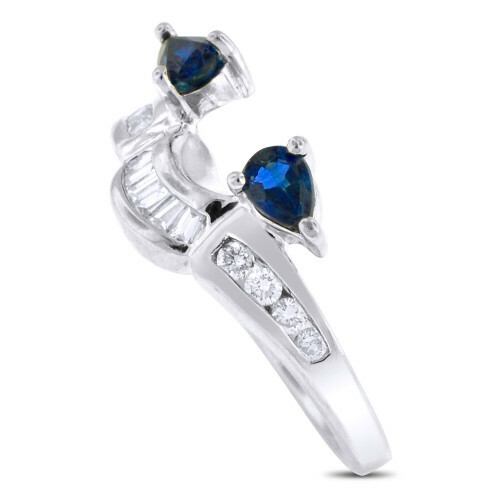 This beautiful ring wrap is set with two pear shaped sapphires that serve as an enhancement to any solitaire. The band includes channel set rounds and baguettes. This product is only the ring guard. 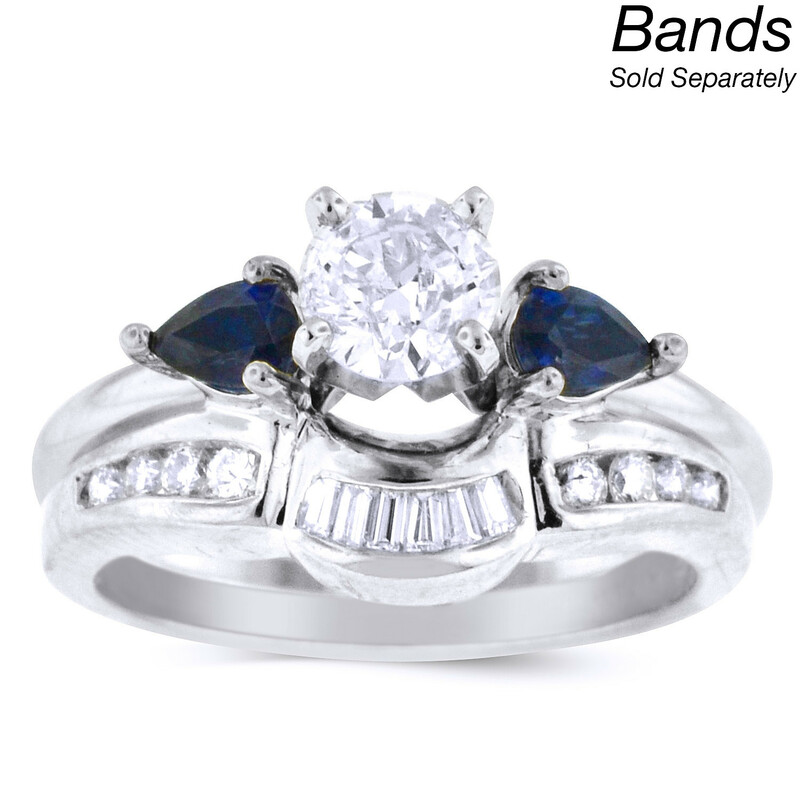 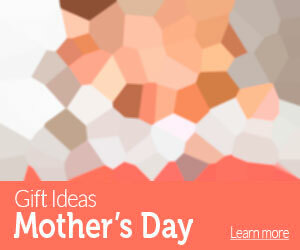 The solitaire engagement ring is sold separately.